Its been 1 years since Marui debut their first M4 GBBR and now its finally the successor, available for the rest of the world to grasp. Tokyo Marui are known for innovating and pushing the limits. It remains all the features from the old one, yet, it comes in a more compact sized and a few extra new perks to it!One would think that holding it for the first time would be light and flimsy, but it isnt. Its just as heavy as its competitors and its finish is far more beautiful. For instance, you have the cerakote finish which leaves a fine texture on the receiver. It looks pristine and untouched. That will all change once you buy it and take it the field.Since it is a Marui product, we do urge you to use HFC134A gas as it will consistently shoot around 280 fps (just below the legal limit of Japan) consistently. The low powered gas doesnt give it the most satisfying kick, but it is pleasantly surprising nevertheless. Full auto feels solid with hardly any signs of immediate cooldown.So why did Tokyo Marui take so long? This is because they wanted to perfect, make sure there are no flaws. They saw the weaknesses of previous M4 GBBRs and they decided to work on the weakest point, the bolt carrier. It uses the ZET system which ensures the safety and longevity of the bolt carrier, making sure it will last a very long time. Tokyo Marui stressed test the bolt lock for over 10,000 times to prove how durable the ZET system is. The internals are all propriety but we can assure you that there will be upgrade parts in the near future. 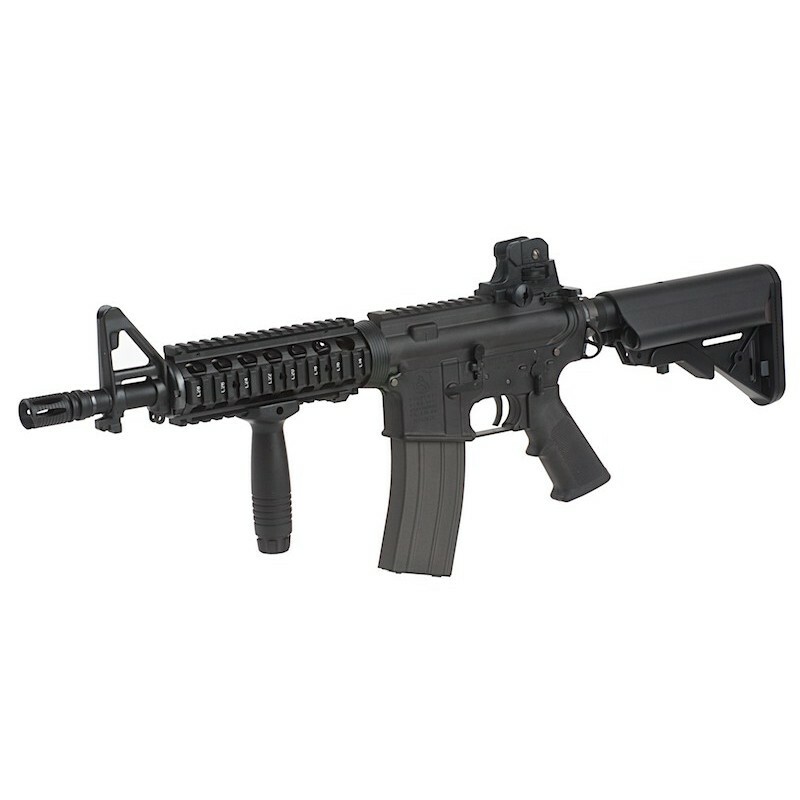 The CQBR Block 1 differs from the standard M4A1 MWS with the following features: 10.5 inch CQB length outer barrelCQBR rear sightForegripSling mount plateLMT style buttstock The nozzle is made out of plastic which doesnt give a satisfying sound when releasing the bolt, but the fact that it is made out of plastic ensures that the air seal is tight. This functions makes sure that the gas only goes through the inner barrel with no leakage expelling out the chamber. The buffer tube is commercial spec so milspec stocks will fit. However, there will be slight play while having it on. Believe it not, it also have a functioning forward assist as the bolt carrier doesnt sit all the way forward when released.We cannot stop people from using Top Gas, in fact, we know people will. That means the other companies will go crazy when it comes to internal replacement parts. This means that in a couple months, youll have a Tokyo Marui M4 GBBR that will outperform a lot of gas blow back M4s already out on the market.